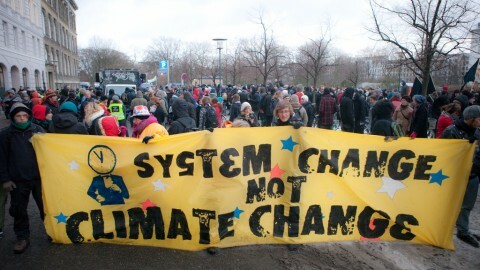 The problems posed by climate change require mature debate. Tony Abbott refuses to give it, writes Leon Obrenov. Healthy democracies require a meaningful, enlightened and informed debate about the policies the current government is seeking to pursue. That debate should involve three questions. Firstly, we must be clear on which ideologies are driving policy choices. Secondly, the manner in which those policies will better the country in the short, medium and long term must be understandable. Finally, the evidence that justifies those policies must be present, verifiable and accessible by the public. Instead of engaging in this debate, Australian politicians have degraded politics to nothing more than an unsightly squabble to win the day’s media war. Climate change is an excellent example of this abdication of policy duty. This government has spent the majority of the year implicitly, and often very explicitly, parroting the absurd climate denialism which is, staggeringly, still present in the Australian political landscape. Tony Abbott has declared that “coal is good for humanity.” Joe Hockey believes that windfarms are an “utterly appalling… blight on the landscape.” Greg Hunt has created a commission to deal with health complaints about the noise of windfarms. This is the narrative the government is seeking to create in the debate we should be having: coal is good, coal is our future, and windfarms are not only terribly ugly, they also have health concerns attached to them. The problem with this narrative, to put it as politely and bluntly as possible, is that it is complete and utter nonsense. Studies conducted all over the world have repeatedly failed to show any link between windfarm noise and health problems. Greg Hunt’s inquiry is likely to be a waste of money declaring the same thing. As to the notion that coal is good for humanity… well, that is demonstrably untrue. Humanity’s use of coal has led to a litany of serious health problems over the years, and beyond that has placed our global ecology in a precarious position. Coal investments are becoming an increasingly risky investment, according to the Bank of America. The bank’s new investment policy explains that, “going forward, Bank of America will continue to reduce our credit exposure to coal extraction companies.” It’s not hard to see why; you only to need to look at what other major international banks and investors are saying about the coal industry. 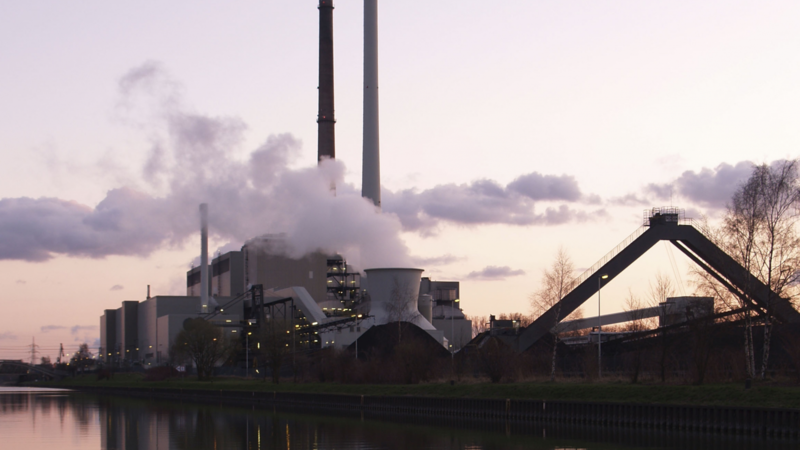 Citigroup, one of the largest banking organisations in the world, recently suggested that, “on the demand side coal is cyclically and structurally challenged.” The value of coal companies it monitors fell from $50 billion in 2012, to $18 billion in 2015. The Wellcome Trust, the world’s second largest non-governmental funder of medical research, lost €175 million in the last year in its investments in fossil fuel companies. BHP Billiton’s share price has fallen 45% in a year, Shell’s by 30%, Rio Tinto’s by 29%, and BP’s by 21%, according to the Guardian’s ‘Keep it in the ground’ campaign, which argues for divestment in both speculative and extraction activities regarding fossil fuels. There are many more examples of financial and moral interventions into the global debate on coal and fossil fuels, ranging from the Norwegian sovereign wealth fund (which this year announced it would be divesting its fossil fuel holdings) to the Church of England. Just about every single one says the same thing: coal is not good for humanity. But this truth, increasingly being recognised by spiritual leaders, politicians and even the markets all around the world, doesn’t fit the narrative (remember, coal is good, coal is the future, windfarms are ugly and bad for your health) and so it doesn’t get mentioned. But you might read this and think, Adani’s Carmichael mine is supposed to give Australia 10,000 jobs, and the coal will be burned while countries that are further behind on the shift to renewables catch up. The government narrative here suggests that it was greenies waging “lawfare” that stopped this immeasurably important project from delivering good, hard-working people a solid wage. Well, no, that’s nonsense too. Firstly, the law being used in this “lawfare” has rejected 2.2% of projects it applies to, since its inception in 2000, 15 years ago. In the interim, Australia has had a once in a lifetime mining boom, which was clearly not impeded by these laws. Secondly, there are a raft of other reasons Adani is struggling to get the Carmichael mine to go ahead. The investment arm of Aviva, a major global insurer which manages assets worth $552 billion, pulled out of the mine, suggesting that it carried “grave reputational risks”, could become a “stranded asset”, and was “the antithesis of what was needed” ahead of the Paris climate talks. 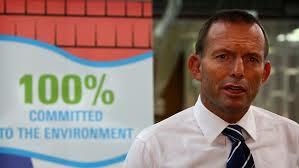 Tony Abbott would have you believe it was the greenies. In fact, if anything is going to halt that mine, it’s the global market and its increasing distaste for coal investment. Or it could be the fact that Standard Chartered (another major international financial institution) predicts that India’s coal imports will be a whopping zero by 2021. But greenies make better villains for the Abbott narrative than the financial sector or, well, the entire nation of India. But windfarms are expensive, aren’t they? This is the last defence of this climate change denialist government, and it too is spurious. The government’s own modelling says renewables aren’t the great inflator of electricity costs that the government would have you believe, and if you don’t believe that, then I encourage you to read Dylan McConnell’s excellent debunking of this myth in The Conversation. Spoiler alert: modern wind power is not substantially more expensive than coal. A healthy democracy would have a policy debate, where this information is presented and discussed. Our democracy isn’t having that debate. Come hell or high water (the latter a distinct possibility), this government is bent on singing the praises of coal power, and trashing the reputation and viability of renewables as much as possible. Australia is missing out on the chance to be an innovator in the renewable energy sector, as it develops and as the world adopts it. Why? Because we have a government that believes good government involves winning the media war, and good policy is three letters long and simple enough that you could train a parrot to speak it.